Life is all about trial and error. If we never try, we’ll never know for sure, right? 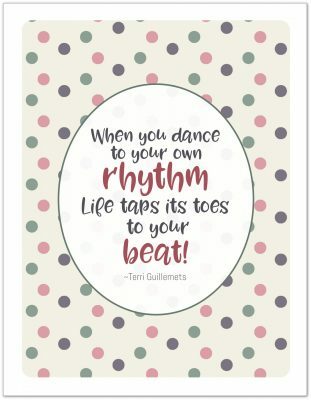 Sometimes though our creativity and craftiness just aren’t for everyone. 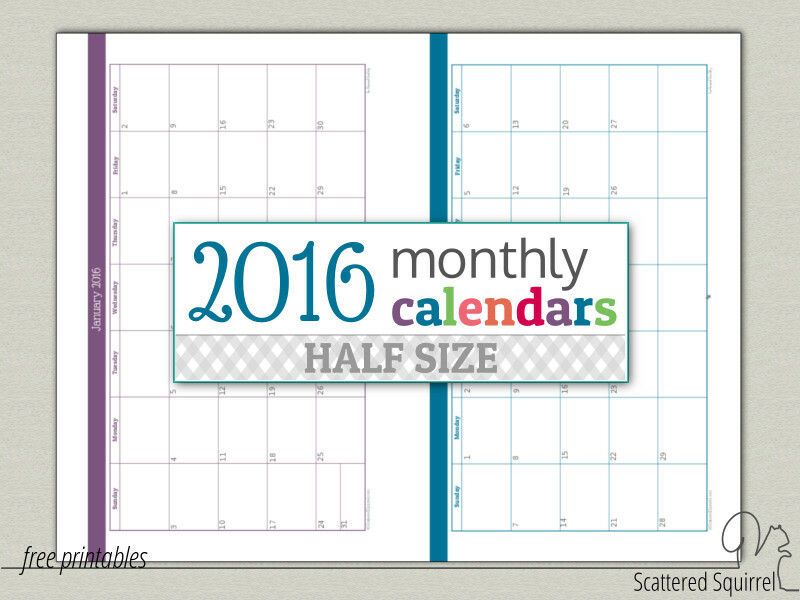 As is the case with the half-size 2016 monthly calendars that I shared earlier this year. I experimented with a new layout of them in hopes of providing the ability to print them double-sided. It didn’t exactly go as planned. 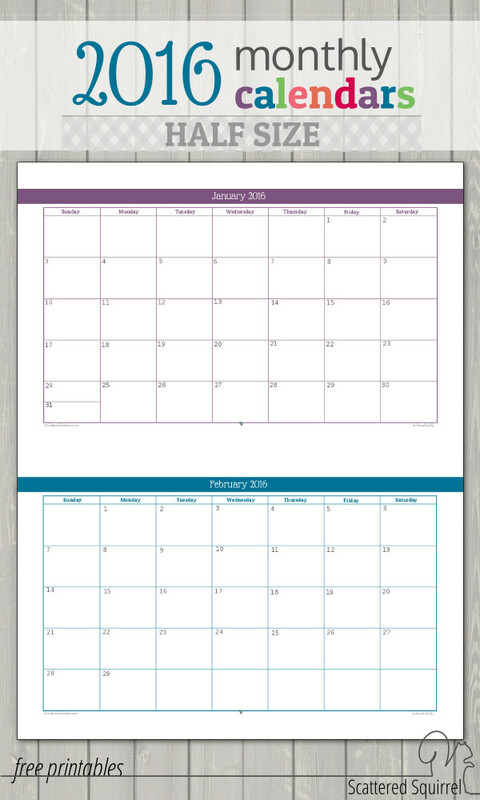 Rather than being the help I thought they would be, they’ve been rather confusing, so today I’m sharing their updated versions – we’re heading back to the old layout from the 2015 calendars. I promise not to keep you long, just long enough to give you a quick run down. Before we get to the downloads I just wanted to mention a couple of things. These will NOT print double-sided. They print two half-size pages on one letter size piece of paper. I opted to put two months (or a whole month in the two page per month version) on letter size (8.5 inches by 11 inches) sheet of paper. This way you don’t have to do any trimming, just simply cut the pages in half. This layout is also the reason that they don’t print double-sided. These are the 2015 layout, not the 2015 colour scheme. It’s been on of the most asked questions this year and I have gone back and forth on this a number of times before I finally made up my mind on it. At this time I have no plans to create a second version of the 2016 monthly calendars in the 2015 colours and design. For those of you who would like to keep using the same colour and style I do have blank versions all the layout and size options over in the monthly calendar section of the personal planner page. When printing the half-size versions, for best results check your printer settings and make sure to select “Actual Size” in the Page Sizing & Handling section of the print dialog box. That way the margins shouldn’t end up wonky. 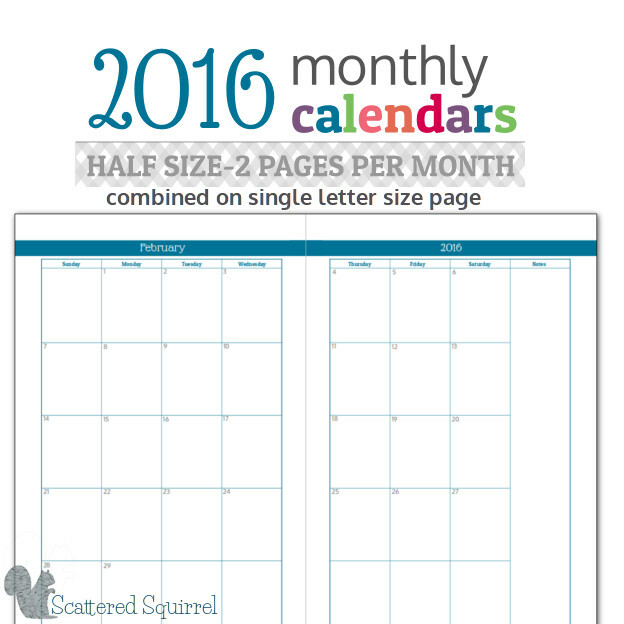 This one is a 6 page file featuring two half-size monthly calendars per page. The file will print in portrait orientation, but they calendars are landscape. Click the pic below to get a copy of your own. This one is a 12 page file featuring each month on its own full-size page as you can see in the pic below. 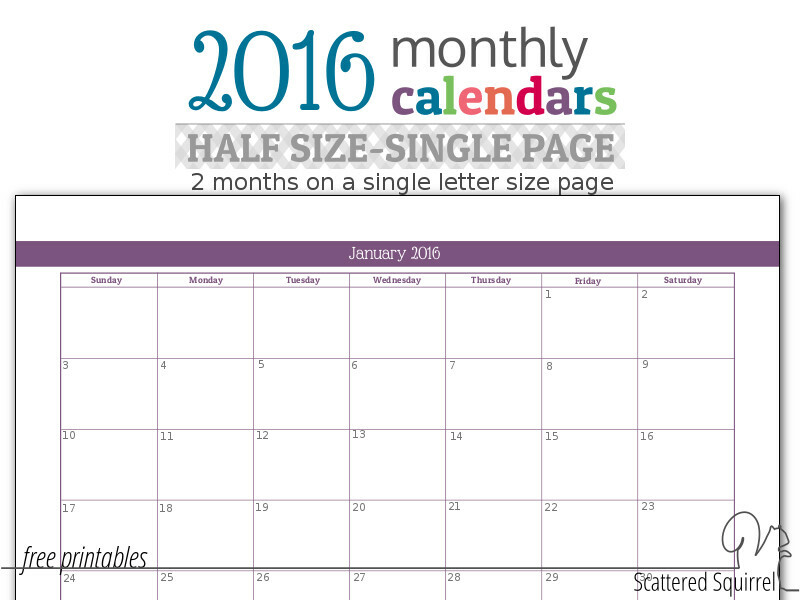 Simply print and cut in half to have your two pages per month. As always to snag a copy for yourself, just click the pic below! There we have it, the last of the dated 2016 monthly calendars. For those of you who have been patiently waiting for me to share these, I’m sorry it took so long to get them both up on here. I was beginning to worry I wouldn’t have them done in time for the new year, but done they are. I hope you enjoy them! Have you decided what size planner you’re going to be using for the new year? Aside from monthly calendars, what other pages are you including? Oh man, double sided printing is the worst. Our printer is a large Lexmark thing that the Mister brought home from work (it was a “reject” for one reason or another, was going to be scrapped, so now it’s here – the company he works for does repair stuff for retail equipment) and all of the “cool” settings that modern printers have are just not available to me. The tricks that I used to get things in a file to print double sided, though, would take a ton of work for something that is pre-dated. I’m just not fussy enough about it to try and figure it out, lol. lol Our main family printer is an old HP behemoth office printer. My husband brought it home years ago when the company it came from decided they would rather just buy a new one than fix the old one. (he was working as a computer tech at the time) As much of a monster as it is, I love it!!!! It’s just a black and white laser, but we replaced the toner years ago and we’re just reaching the 1/3 left mark now. Thank you very much for re-doing the 2016 two months on a single letter size page. Printing them worked perfectly and I can’t wait to use them. Appreciate all your hard work. Have a wonderful Thanksgiving! Hi Donna, I’m so glad they print easier. I’m just sorry it took me so long to get the new/old ones shared. As far as experiments go, it could have gone better, but thankfully it was easy to fix. 🙂 I hope you have a wonderful Thanksgiving. I love your work but could you do the same for European people with monday on first day, please ? Hi, thank you for posting the printouts of the half page months. I love it. Makes managing bills easier because I can look at the next month a lot easier. Any chance of the calendar for 2017 yet?